Stencil Pro Clear, plastic vellum stencil material 10 N/A N/A Create reusable stencils, templates, decals for scrapbooking, home, office and warehouse use. Grip-A-Matt Our 1/32" silicone rubber is laminated to a 3/32" sheet of acrylic N/A N/A N/A his design holds engraving material down on vacuum and t-slot tables; clean mat with rubbing alcohol. 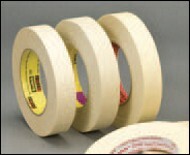 3M583 Die Tape Heat-activated dry film adhesive for bonding dies to plates. 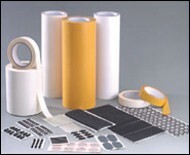 The film softens and provides a permanent bond to the surface on which it is applied N/A N/A N/A Heat activates film, making permanent bond to printing dies, embroidered emblems. Mag 3 Magnetic 3" Nut Driver with a heavy-duty earth magnet N/A N/A N/A Attaches trophy base to trophy column. Mag 6 Magnetic 6" Nut Driver with a heavy-duty earth magnet N/A N/A N/A Attaches trophy base to trophy column. NV1 Plastic clean and shine N/A N/A N/A Gently cleans all plastics without scratching. Leaves a lustrous shine that resists fogging, repels dust and eliminates static . NV2 Fine scratch remover N/A N/A N/A Removes fines scratches, haziness and abrasions from most plastics. Restores faded and discolored plastics. NV3 Heavy duty scratch remover N/A N/A N/A Removes heavy scratches and abrasions from most acrylic surfaces. Use when damage is too severe to be restore. PMS Printable Magnetic Sheet for the Laser printer 12 N/A N/A Print full color magnets for P.O.P. 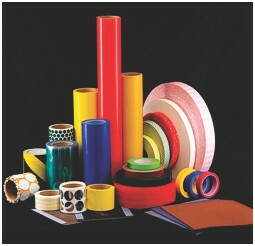 displays, business cards, arts and crafts, dash plates, home and warehouse I.D. tags, scrapbooking.